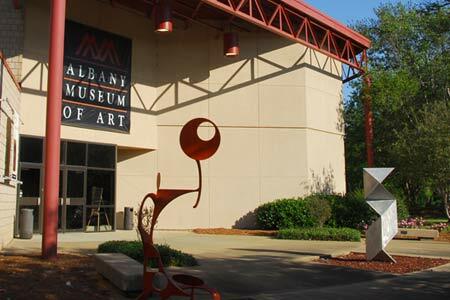 The Albany Museum of Art has multiple galleries and hosts numerous exhibitions throughout the year. These exhibitions showcase nationally and internationally recognized artists, with one space dedicated as a regional artist sales gallery. The museum is nationally accredited with a growing collection, including an impressive collection of 19th and 20th Century American and European art. The Museum also houses one of the largest collections of traditional African art in the Southeast outside of a university setting. Believing that art is vital to the human experience, the museum strives to cultivate curiosity and passion for art in its many forms.